I was here: Go vintage in Manchester or go home! – Go ask Alisa – DIY capsule wardrobe one stitch at a time! I was here: Go vintage in Manchester or go home! Important things first: for those who follow my blog and there are nearly 500 of you (ouch!) – I apologize for such a late post. I have been so busy at work, after all it is Robbie Williams in town, so Manchester is rocking in the vibes of “Love supreme” and “She’s the one” and restaurants&bars are just packed. So it is a good time to make some money, keeping business up and introducing industrial heart of Great Britain to the guests of the city. While Robbie is shining like a star over our humble city couple of another great events are coming up. This time on a personal side: my dearest friend Nataly is coming to town on 22nd of June and on 28th of July I will be the happiest woman in the world jumping on a plane to see my beloved one. So as for Nataly – I believe that special friend deserves a special tour/guide around the city and that is what the post is about today. Statement says: “Go vintage in Manchester or go home!” and you wont believe how alternative yet bohemian and vintage Manchester can get. One likeable thing about small town – everything is within walking distance. I would suggest to start your journey with my pick nr1: Arndale market. Just on another side of Arndale shopping mall, right there couple of steps away from Piccadilly Gardens and city center itself you will find something more like a German beer gardens and very intriguing street market, take away food court and what not. Place worth a visit and sightseeing. You will also find there a nice little church that I believe is opened for visitors, will try to pop in and take a look this time. So, Arndale market it is. 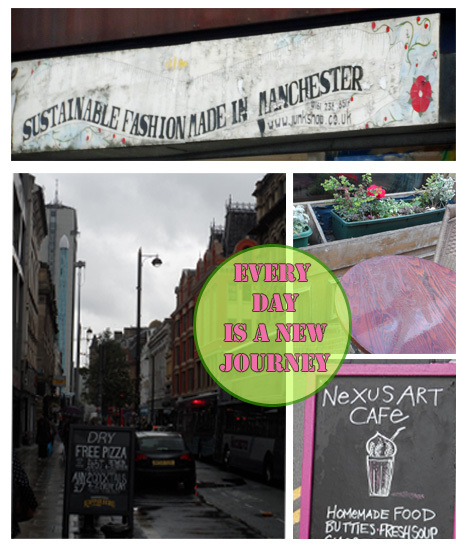 Pick nr2: back to Piccadilly Gardens to visit farmers market and thousand and one cuisine that they offer. Since my friend is arriving in the afternoon it is a perfect choice for a quick snack or light lunch. By the way, are you a Tex Mex junkie? Well I am, and if you’re searching for some nice, reasonably priced Tex Mex eat-in or take-away then Barburrito is where you should be. Used to work for this amazing company and still can not get enough of their absolutely amazing burritos and my personal favorite – nachos with cheese dip and guacamole. Everything is made fresh and clean – been there, done that. Trust me, you wont regret! And if it is a sunny day you can get comfy right there sitting in the grass and eat your burritos, bowl of curry or indulge with Cafe Nero/Starbucks iced drink. Mini pick. 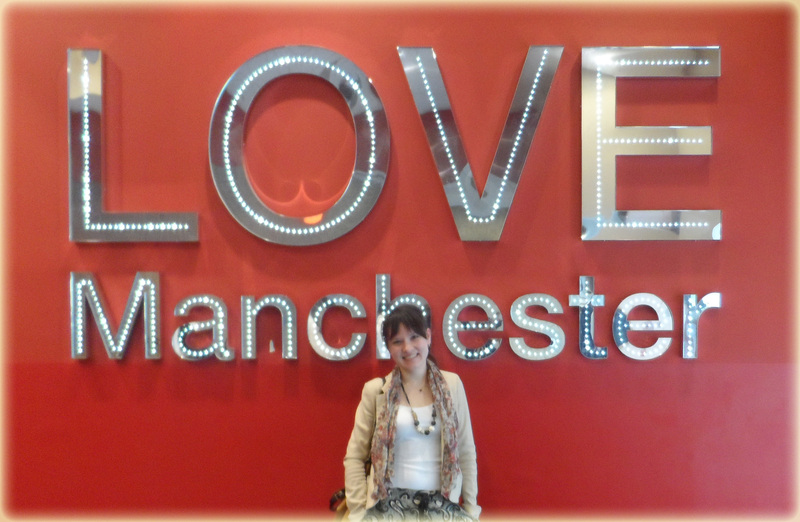 By the way: a bit off topic, but Manchester is great for bargain hunting! A secret, not very well hidden place, as it is situated right in the city center by the Red Piccadilly bar and Tesco Express, there is a Fashion Factory outlet. You can find River Island, Top Shop and other popular shop and big designer name clothing for pennies. And the best part is: you wont find it anywhere else in the town, so you will definitely enjoy being the unique one. Previous Previous post: I was here: Going loco in Costa Rica!